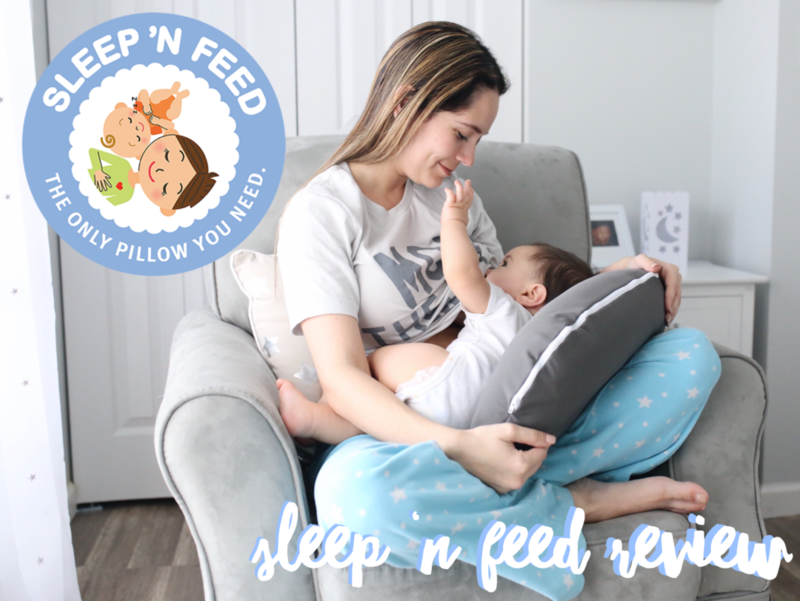 Today I am sharing one of my all time favorite baby products, the Sleep ‘N Feed! I just found out about the Sleep ‘N Feed a little over a month ago and it has become an everyday item for Owen and I! And Emma too whenever she sneaks it away haha. 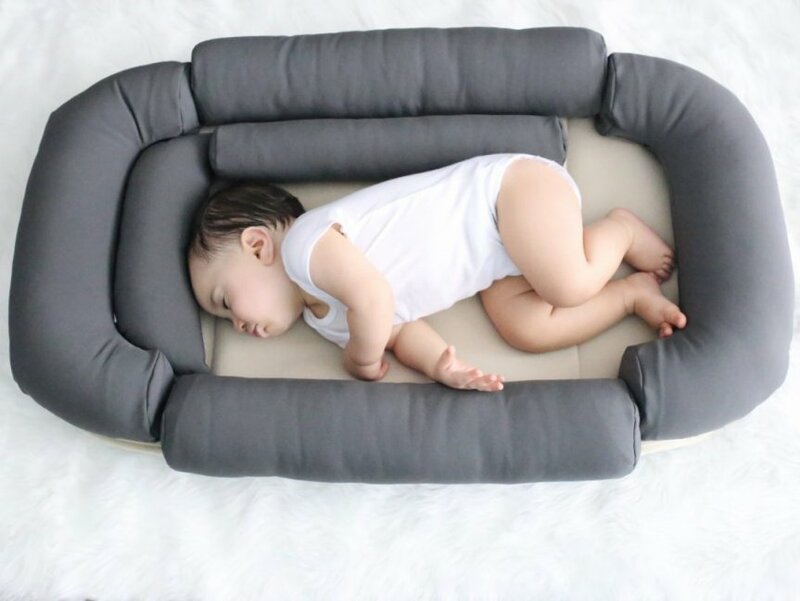 The Sleep ‘N Feed is a multi-functional Baby Nesting System, serving as a nursing pillow and traveling bassinet all in one! 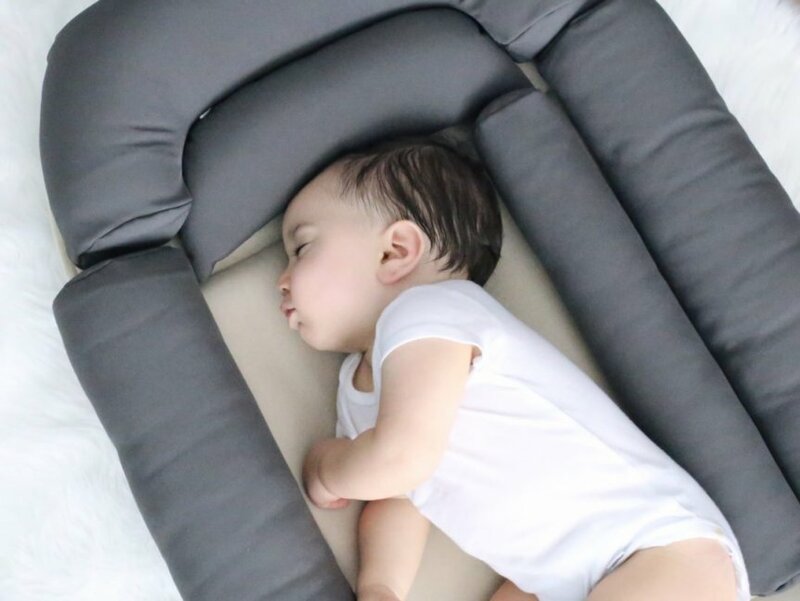 With the ability to transform for different feeding positions and accommodates your baby from birth to one-year, this is a great investment for a growing family. 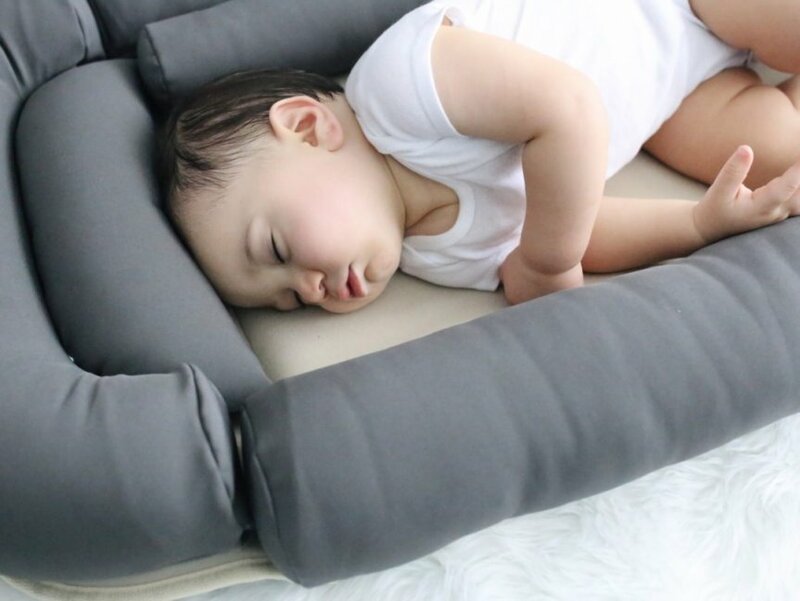 The Sleep ‘N Feed has both the interior and exterior cushions in place attached to the base. This position would lie on a flat secure surface, and the cushions can be removed or altered to fit the size of a newborn all the way up to a 1-year-old. But Emma is 2 and she LOVES to sneak Owen’s Sleep ‘N Feed for herself haha! And she definitely fits comfortably! When all the pillows are fastened to the base, you create a safe snuggled environment for the baby. 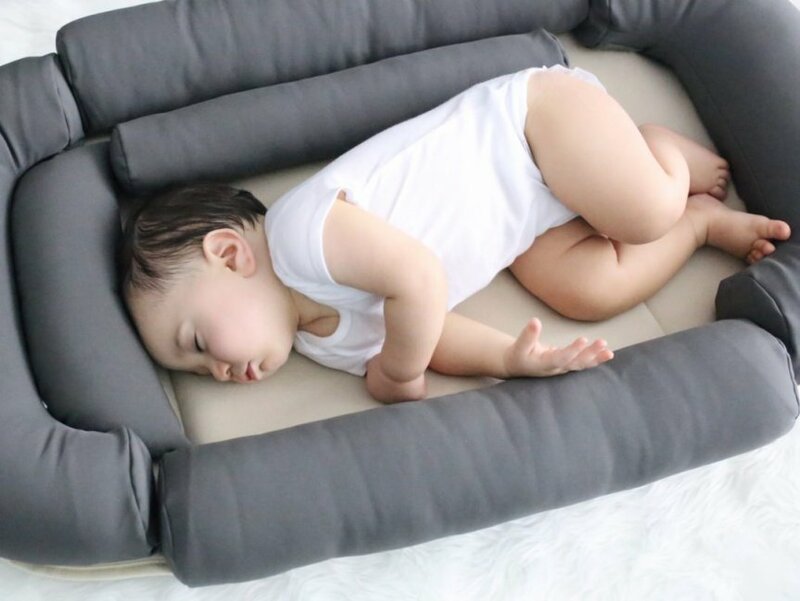 In this position, you can place the Sleep ‘N Feed in the bed for nesting and breastfeeding or on the floor for baby lounging. 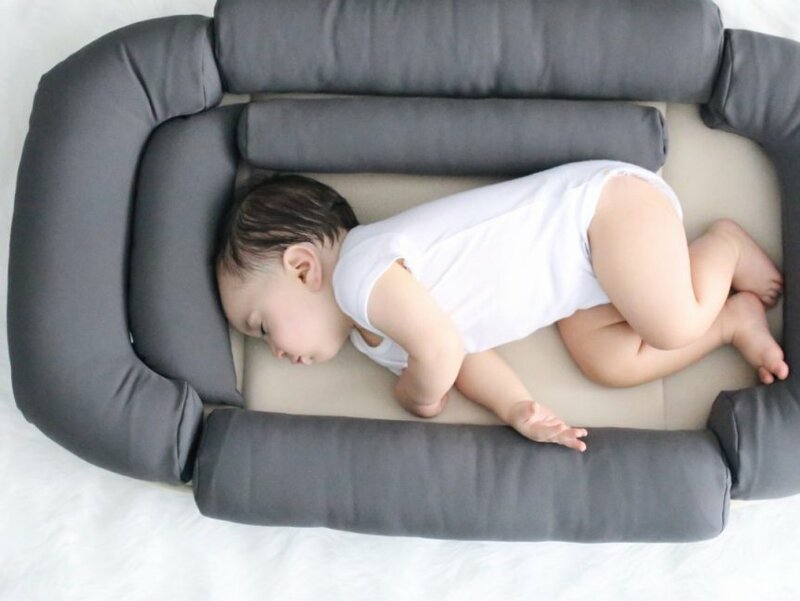 The Sleep ‘N Feed has so many different configurations, and you can even make up your own to accommodate your baby! 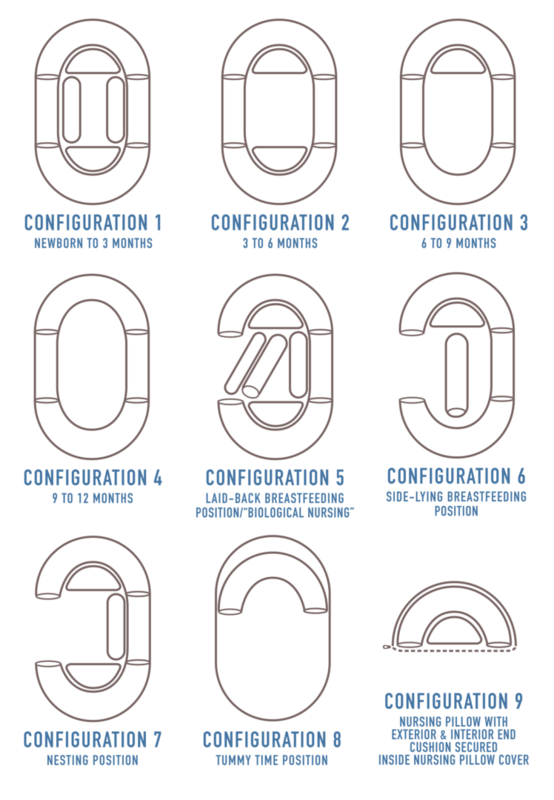 As you can see in the pictures above, that’s the configuration Owen likes the most! I love to use our Sleep ‘N Feed for breastfeeding because it makes it comfortable for both Owen and I. 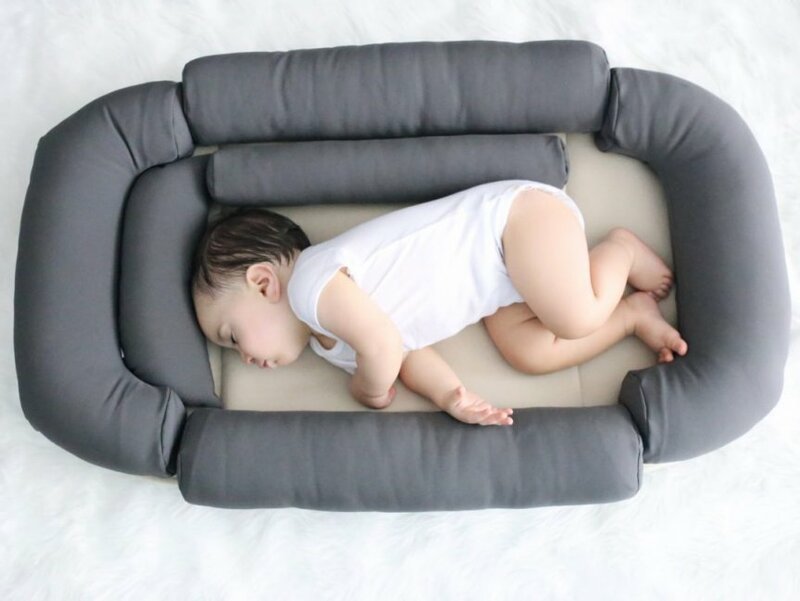 To create a nursing pillow, take the two end pillows and place them in the nursing cover that comes with the Sleep ‘N Feed. So easy! 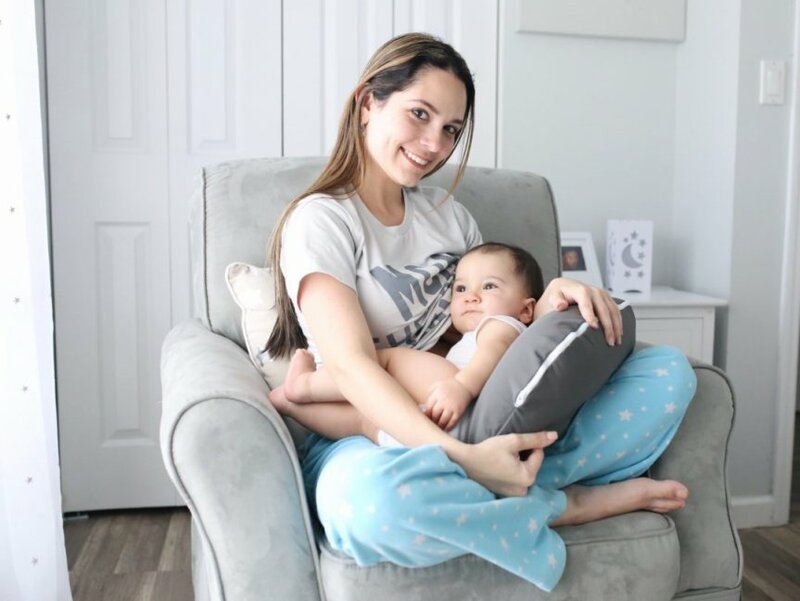 When you’re sitting in an upright position on the couch or in a recliner, you can take your transformed nursing pillow and place it on your lap to nurse your baby. 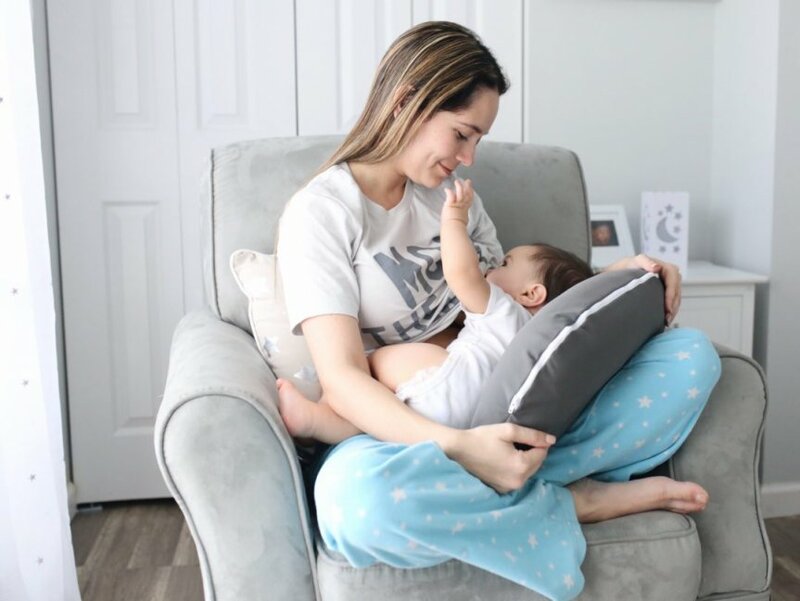 For non-nursing mothers, you can place the transformed pillow on your lap for support or bottle time. We also use our Sleep ‘N Feed for some cuddle time, or to get Owen comfy before nap time or bed time! I like to position him in my arms with the help of the Sleep ‘N Feed pillows and just rock him in his glider. When you’re done using the Sleep ‘N Feed, it can be easily transported. By folding the two ends and snapping them together by the buckle, the Sleep ‘N Feed is ready for travel. Can you say DISNEY WORLD?! We already have 3 trips planned for this year and the Sleep ‘N Feed is definitely coming with us! The Sleep ‘N Feed is lightweight and effortlessly able to be transferred. The Sleep ‘N Feed is made of an advanced high-technical soft fabric called Dintex. This fabric features the ability to not only be waterproof, stain proof, and antimicrobial, but it is also breathable and temperature regulating. 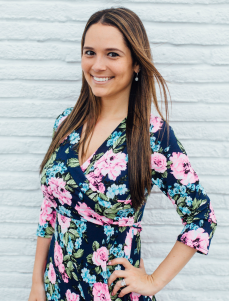 It is comprised of 3 layers: the soft, matte side of the fabric is strong and has the ability to stretch, the middle layer blocks the stains and other liquids entirely while still allowing the skin to breathe (this layer is called Dintex), and the lightweight soft side of the fabric is comfortable and warm against the skin. 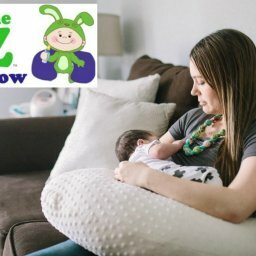 Another thing I really love about the Sleep ‘N Feed is that part of their proceeds are donated to the American SIDS foundation (sids.org) to fight against SIDS. I am SO happy that I have a Sleep ‘N Feed to use with Owen, it has seriously made feeding time and bed time much easier!